The fishing sector, which provides a living for an estimated 820 million people worldwide, has been recognised as one of the top three industries at risk of modern slavery in the latest Global Slavery Index. Therefore, businesses in the fishing and aquaculture industry have a responsibility to adopt best practice to minimise the risk of modern slavery for those working throughout their supply chains. Tailored e-learning modules to increase an organisations’ capacity to detect deter and deal with forced labour are available – request your free trial now. The Index rates the top 20 countries, which account for over 80% of the fish caught worldwide, based on their risk of modern slavery – see figure 1. High risk countries are typified by a high proportion of fish caught outside their own waters, poor governance, a relatively low GDP and high levels of government provided subsidies, which indicate a lack of competition and a pressure on businesses to cut costs. Although the UK isn’t listed, 97% of households in Britain bought seafood in 2017, and 53% of the total volume within the UK seafood value chain is imported and landed on foreign vessels. This includes high risk export countries, such as China, Thailand and Indonesia. The other 47% of seafood in the UK supply chains is caught by UK vessels, but there have also been reports of suspected forced labour on UK fishing vessels. No matter which country, forced labour seems inescapable in the industry. Limited knowledge of worker’s rights and a lack of union representation. The Thai fishing industry, which according to Seafish exports 3.9% of its catch to the UK, has faced particular international scrutiny. In 2015, according to the Human Rights Watch the “Thai government noted that inspections of 474,334 fishery workers had failed, astonishingly, to identify a single case of forced labor”. 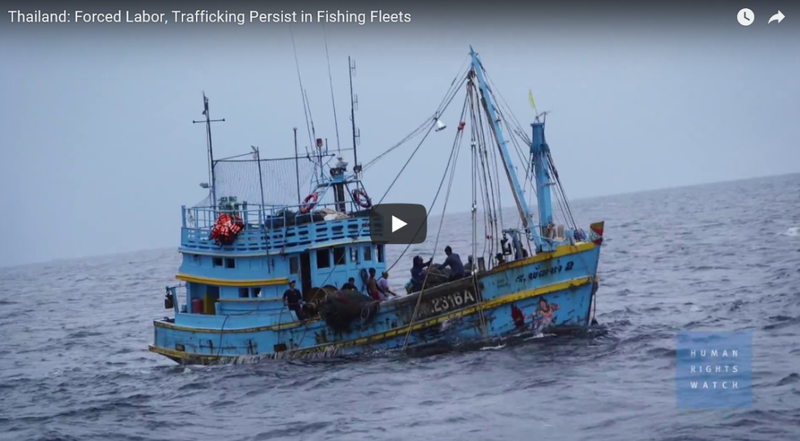 This video from the Human Rights Watch emphasises the risk within Thailand’s fishing industry. Recommendations to decrease the risk of labour exploitation within the industry include greater transparency from net to table, more robust inspections and a greater recognition of modern slavery as a serious crime . 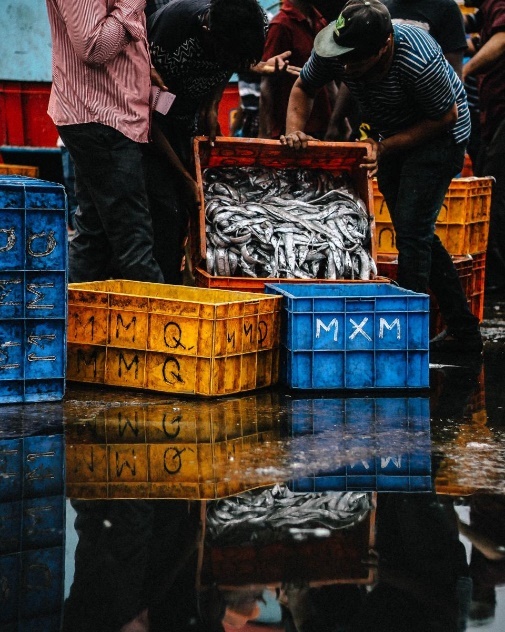 To increase recognition of forced labour among employees and suppliers, businesses working in the fishing and aquaculture sector can use Stronger Together’s sector specific e-learning modules. The online training developed in partnership with e-learning experts Eukleia, can be completed anywhere at the learner’s own pace and each course delivers practical, focused information on what forced labour is, what the signs and indicators are and how to take preventative action to minimise the risk. The module is also streamed for different roles, including: factory/site management, supplier/brand senior management and corporate social responsibility management, supervisors and workers. Go to our website to request a free trial and to find out more. Almost 60 cases of suspected modern slavery and/or human trafficking were investigated by the Police Service of Northern Ireland (PSNI) last year. ... treatment journey by individuals, 1,746 teaching and support staff trained to prevent violent extremism and modern slavery training for the council. ... in campaigns on behalf of Indigenous people, refugees and victims of modern slavery, and in organisations supporting the needy and homeless.